We're wearing a wee bit 'o green around here! Mind the gaps in your story. Emotional, plot or character wise Angie will be blogging on the topic Monday. All I learned about editing I learned from growing and tending bonsai with Julia on Tuesday. Sarah talks holidays in our books and going for the unusual days of the year on Wednesday. Admit it. You read the TV guide too! And Ashley has tips on turning that into secrets to hook your audience on Thursday. Description can make or break a story. Cindy talks on how it helps connect our stories to our readers on Friday. 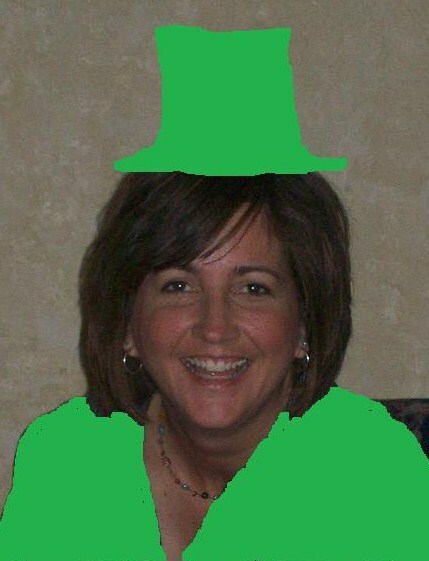 Happy St. Patty's Day all! *** The winner of Krista Phillips' debut book, Sandwich, With a Side of Romance is Tracy Krauss! So what, none of the other Alley Cats wanted to share their fashion green????? *snicker* I absolutely LOVE being brave! Looks like a fantastic week coming up!!! !